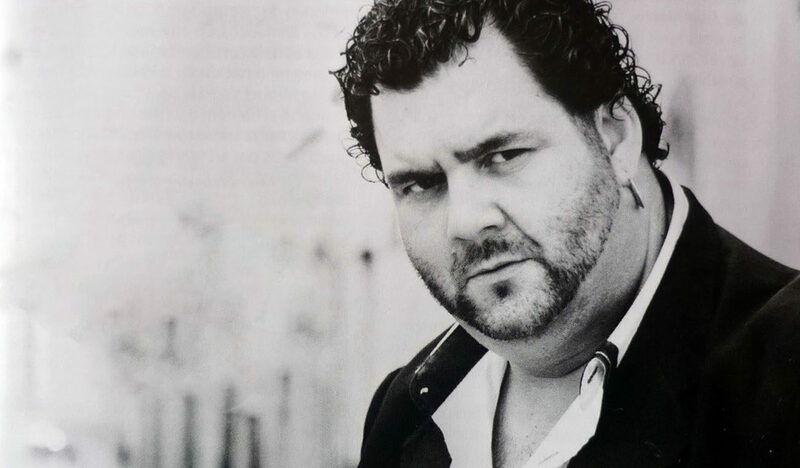 I didn’t know well Juanillorro, the cantaor from Jerez, as I only met him a few times in some festival, but my impression of him was always that he was a big boy or a big kid, full of life and possessing a humanity that could be sensed from far away. 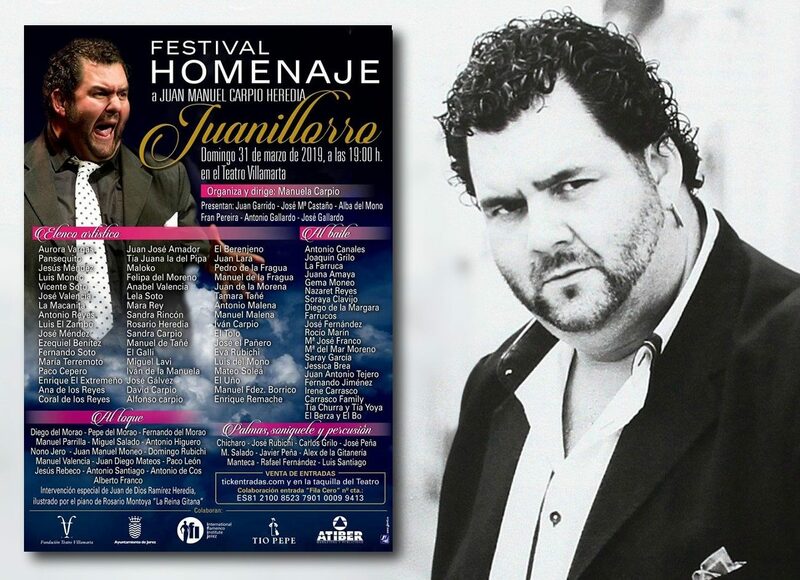 I didn’t know well Juanillorro, the cantaor from Jerez, as I only met him a few times in some festival, but my impression of him was always that he was a big boy or a big kid, full of life and possessing a humanity that could be sensed from far away. He was a bit shy, like me, and shy people always have something special when they try to express themselves. Juanillorro’s way to overcome his shyness was singing, and he sang with his whole body, having an admirable drive and compás. He was a jerezano head to toe, proud of having been born in the same city as Manuel Torres, Chacón, El Sordera and Terremoto. 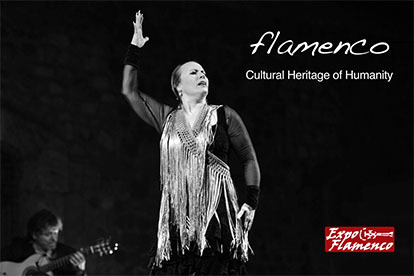 He was such a quintessential jerezano that even as he wasn’t a big flamenco star, his death resonated all over the world, and he’s still mourned by many people in all corners of Jerez. We can see how special he was by just looking at the poster of the tribute festival that will be held in his honor, as it includes one hundred artists, and there could have easily been one hundred more. Everyone has wanted to take part in this event that will be held at the Villamarta theater on March 31st, and this shows how much he was loved by the city of Jerez, regardless of the fact that he died young, which is a reason to miss even more deeply those who leave us. Juanillorro passed away and his death froze all our hearts. Yet, that day he became much bigger, not physically, but as an artist. 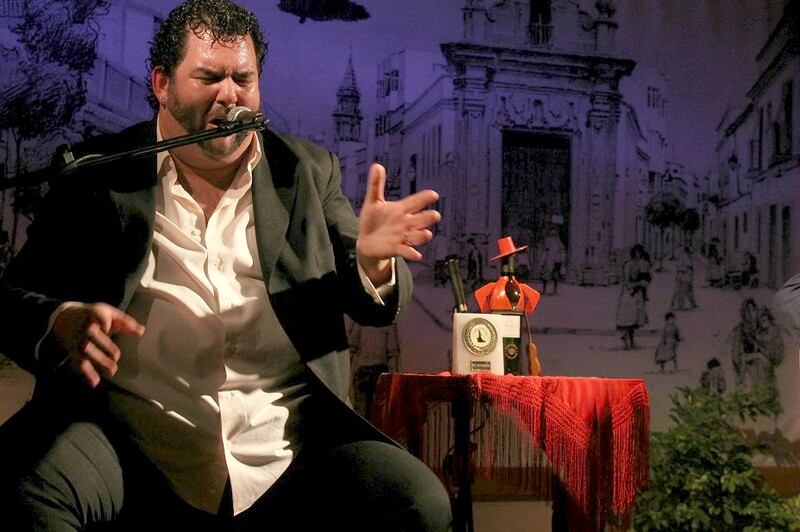 The history of cante in Jerez opened its doors to him. I’ve always admired how well Jerez takes care of its artists. They are not forgotten, and there are hundreds of them, without counting those who are no longer with us. The streets in the districts of Santiago or San Miguel have the scent of their artists. People talk about them in taverns as if they had never died. The best way of living forever is to live in others, and Juanillorro lived in others, in his friends and in the artists he admired. In part, he was much loved because of this, because he loved many people, artists or not. The tickets are probably sold out already, as could be expected with the great lineup that was put together for his tribute festival. 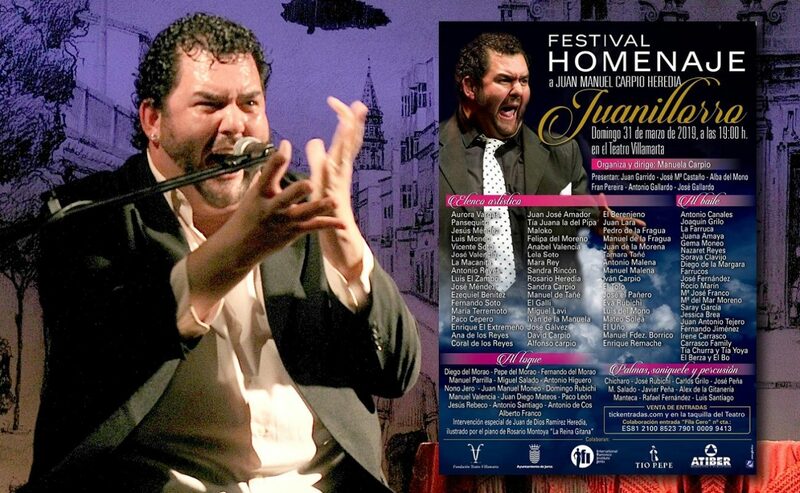 This is a must-see show at the Villamarta theater, not just because of the lineup, but for the more important reason, which is to participate, because that evening the spirit of Juanillorro will be all over that theater and all over Jerez. I meant to say the spirit of Juan Manuel Carpio Heredia, a noble, sincere Gypsy who not long ago left us without warning, breaking all our hearts.